Marylebone has been home to its fair share of rogues, villains and eccentrics, and their stories are told here. Over the past 10 years the Marylebone Journal has printed historical essays on the people, places, and events that have helped shape the character of the area. The essays have been grouped into themes of: history, politicians and warriors, culture and sport , love and marriage, criminals, science and medicine, buildings and places, and the mad bad and dangerous to know ‒ those whose stories don't fit a convenient box but are too good not to tell. Marylebone has been home to its fair share of rogues, villains and eccentrics, and their stories are told here. The authors also want to remind the reader that alongside the glamour of Society, there has also been hardship and squalor in the parish, as was graphically illustrated in Charles Booth's poverty maps of London in 1889. 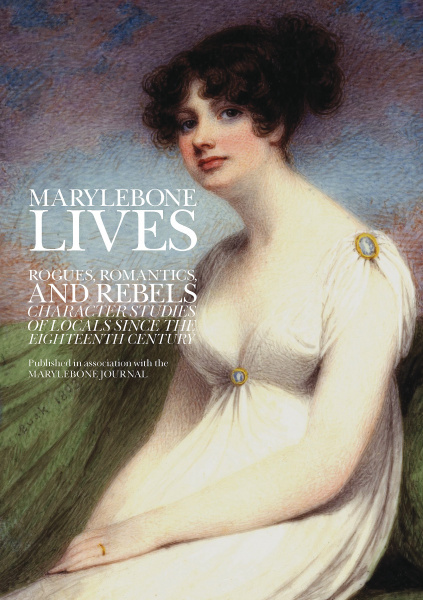 Over the past 10 years the Marylebone Journal has printed historical essays on the people, places, and events that have helped shape the character of the area. Some are commemorated with a blue plaque, but many are not. This is not a check-list of the grandees of Marylebone, though plenty appear in these pages. The essays have been grouped into themes of: history, politicians and warriors, culture and sport (from pop music and television to high art), love and marriage (stories from romance to acrimonious divorce), criminals, science and medicine, buildings and places, and the mad bad and dangerous to know ‒ those whose stories don't fit a convenient box but are too good not to tell. About the editors: Mark Riddaway has been editor of the Marylebone Journal from the start in 2005. Carl Upsall has lived in Marylebone since 1999, and was chairman of the Marylebone Association from 2007 to 2010.